BLCS Annual Meeting 2019: abstract submission and registration now open. 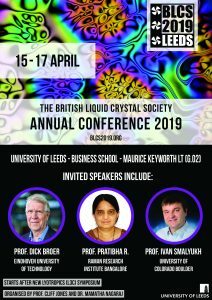 Registration for the 35th Annual Conference of the British Liquid Crystal Society is now open. 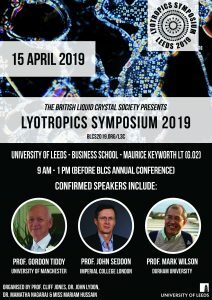 It will be held at Leeds University on 15th to 17th April 2019. Abstract submission and registration is done through the website: www.blcs2019.org. The Abstract Deadline is 24th February, and Early Bird Registration deadline is 17th March. 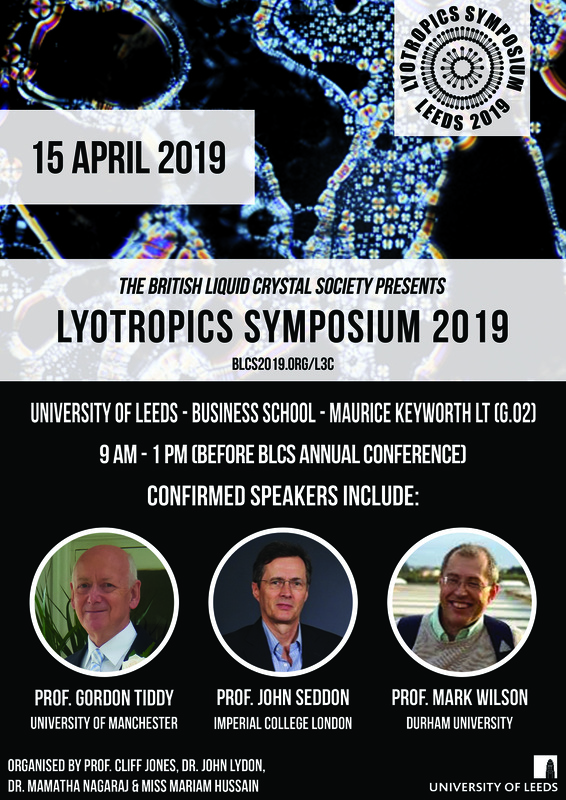 The organisers are delighted to invite registrants of BLCS to come on the 15th, for a special Symposium on Lyotropic Liquid Crystals (L3C). This event will be held in the same venue and starts in the morning of the 15th April, immediately prior to BLCS2019. The fee for this Symposium is included in the BLCS registration fee. Attendance at the Symposium alone is £40.